Hi, I’m John Williams and as you may remember if you read my earlier blog, I’m a DIO Project Delivery Manager currently working on overseas projects. These include the runway renovations at RAF Akrotiri in Cyprus and RAF Gibraltar. I’m happy to say that the RAF Gibraltar project has recently completed. The work on the runway, which included the removal and replacement of some 15,000 tonnes of asphalt and 200 airfield lights, should extend the life of the runway for a further 20 years. This is vital as the station handles both military and civilian flights. We let the £7.9m contract back in May to Lagan Construction International and the design and planning phase took between May and the start of work in September. Lagan completed the construction in just four months, despite the fact that the runway is 6000ft long, a third of it juts into the sea and they could only work at night. In a typical night shift, the construction team removed and replaced around 100m of the existing runway surface and the airfield lights from that section of the runway. The night-time working restriction was essential to minimise disruption to the base and to local people. The small size of Gibraltar itself and the location of the station means that the only road from Spain to Gibraltar actually crosses the runway - you can imagine what a nightmare that would have been for all concerned if we’d been working during the day. That’s a good example of why close liaison with all parties was essential. It’s important in any project of course, but perhaps especially so in this case. 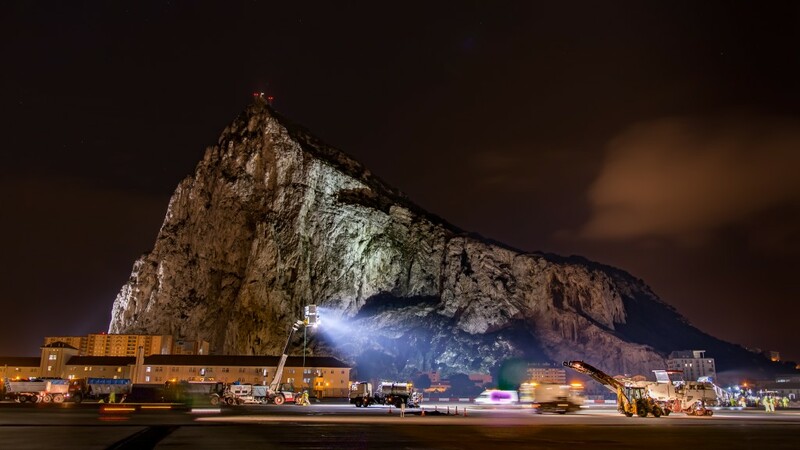 DIO, RAF Gibraltar, Lagan Construction, and the Government of Gibraltar worked together to mitigate any possible problems and to make sure those who needed to know were updated on delivery of materials and equipment as well as our overall progress. 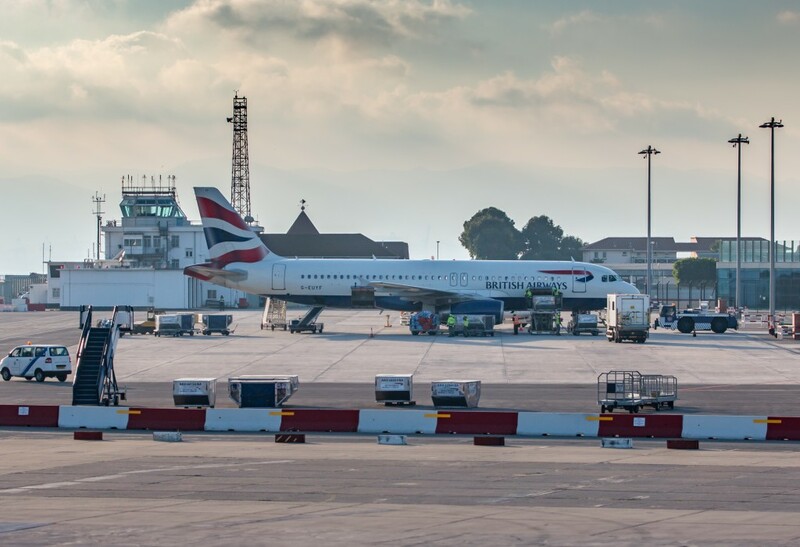 RAF Gibraltar remained operational throughout the project which means that all military and civilian flights have been able to take off and land as planned. All in all things went very smoothly and I’m happy with the success of the project. I’m now turning my attention fully to RAF Akrotiri where hopefully things will progress just as well.